Ok, where to begin. First off, the box. It’s a remix of the TRU Japan giftset box (see here). Very similar with slight changes to highlight the updates. Very cool. I loved seeing that red, orange and yellow color scheme again. My first impression getting these guys out of the packaging was that the plastic was significantly different from the originals. It’s a very hard plastic, feels brittle. I didn’t have any breakage issues, but it feels like that initially. This makes it a tad lighter than the originals as well. It’s not that big a deal visually, and I worked these guys pretty good for the photo shoot with no structural issues due to the plastic change, so it only makes a difference to in-hand feel. Which I didn’t like, but if it’s needed for cost reasons, so be it. Colors. Both of these are richer, brighter than the originals. More saturation. This is most evident on Ultra Magnus, his blue is much deeper. And the whites – stark white. No bone, off-white to it. They really pop visually like this, and they are not overly rich. They are at the max level of saturation before it starts looking ridiculous. So kudos on that. I have almost every single variant ever made of these guys, so having a difference here without doing a full redeco was welcome. The sword is different from the original release in the TRU Japan giftset. I liked that because I paid a mint to get that set, for the sword. However, after researching things for this photo shoot, I realized the colors for this sword actually match what it looked like in the show (see here from Ridforever). So technically this sword is toon accurate, which I really like. 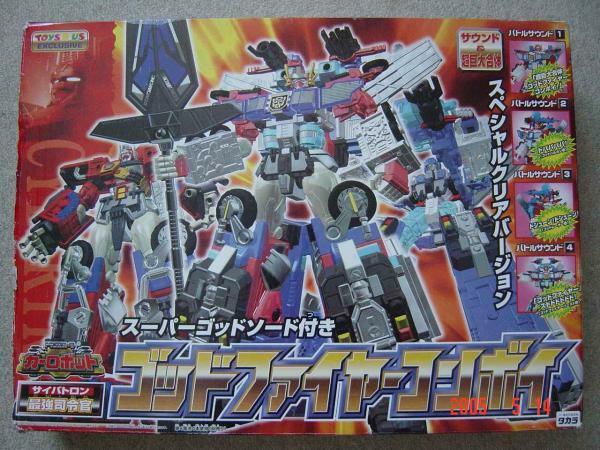 Now Brave max can have the TRU Japan sword and GFC can rock this one. Chrome – less of it. Fire Convoy loses it on his chest. Magnus loses it on his front grill / GFC chest. But, we keep it on Super Fire Convoy’s ears, God Magnus’ Autobot symbol in the middle of the grill, and God Fire Convoy’s ears. This is a nice differentiation, and actually makes sense with them becoming highlights. That being said, I would have been content if they just only chromed the Autobot symbol on the GFC chest to make it a centerpiece. Stability – I’ve read reports of people having issues with GFC standing properly. In my case, it was the same as he always was. A top heavy sunovab****. Nothing significantly different than any other version I have. In fact, after 18 years, this guy kept his poses way easier than the original that was on my shelf. That doesn’t say much though as he will tip over super easy if you don’t have him in a straight up stance. Leg joints could never hold the weight. Molding issues – I had some. Fire Convoy’s feet seem to have some mold warping, or something. In robot mode, you can’t tell. His feet are on a ball joint so you can get him standing how you need to. In fire truck mode though, they are meant to swap around and be the roof of the cab. Those do not line up flat anymore. Never had anything like this on previous versions so either the mold changed, or they are assembled wrong (see here). Sound effects – some are reporting swapped voice chips, with Fire Convoy having Magnus’ and vice versa. This will affect the gimmick, as different configurations and weapon modes trigger different sounds on each and while combined. My copies luckily were correct, and functioned properly. Supposedly there are new and more sounds, but I don’t have the original set up with batteries to compare. What I heard was sharp and cool, in Japanese. You don’t get the same oomph as you would if it was the US voice actors IMO, so that’s a moot point for me. Lights are same as before – eyes, fire truck lights, etc. Overall – I dig it. I was super hyped, then bummed when they announced the recall and issues, but now I’m back to even footing with him. I’m definitely not looking to return him, and in fact, I am going to be swapping out my OG Car Robots version that has been sitting combined on my shelf for 18 years with this one. (My RID shelves have thinned in recent years, but they still take up 2 10 foot stretches 🙂 ) I really dig the sharper colors, whiter whites. And the toon accurate sword is a bonus. The lower quality plastic, warped underfoot, and voice issues (that I don’t have) won’t affect him standing in Omega Prime mode rocking that sword until 2036. 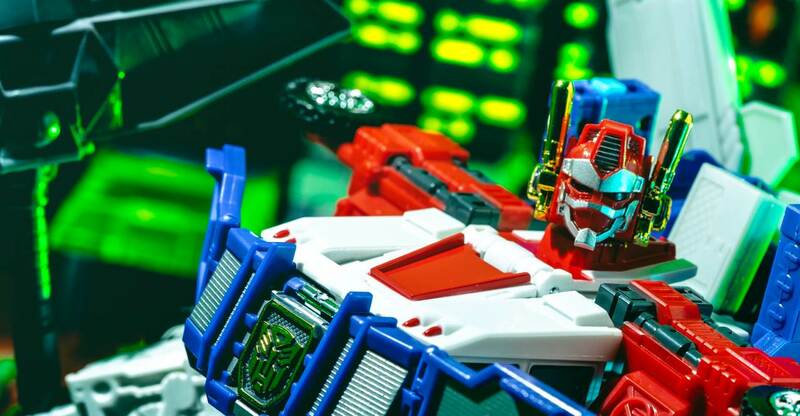 Bottom line – if you are super into Car Robots, and plan on having him primarily in single or combined robot modes after you mess with him, he is worth a pick up especially because of the sword. 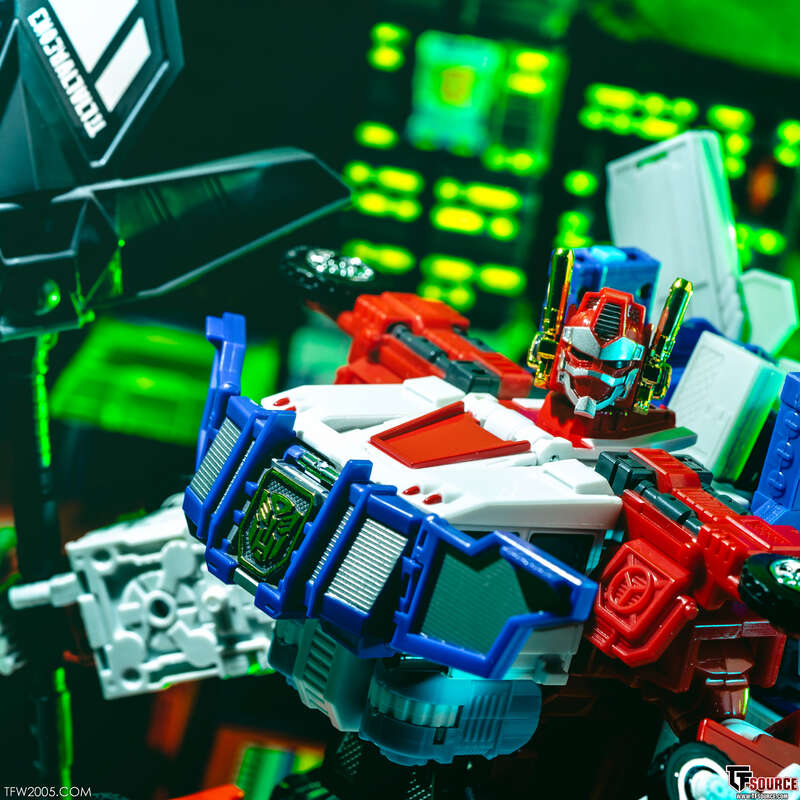 If you just want the molds sans sword for constant transforming or to have one single version of the figures – grabbing originals on secondary market will be cheaper. Make sure to check out over 200 shots of the set in our gallery here! For all Car Robots / Robots In Disguise goodness – check our mini-site for it – RIDForever.info!